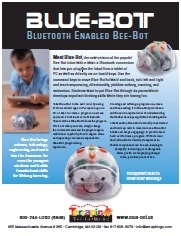 Bee-Bot and Blue-Bot are exciting little robots designed for use by young children. These easy-to-operate, and friendly robots are a perfect tool for teaching directionality, sequencing, estimation, problem-solving, and just having fun!Use the arrow keys to code Bee-Bot or Blue-Bot to move and turn. Then press GO to send the robot on its way. Children love to teach the robots how to go from place to place and learn while they do. Blue-Bot includes a Bluetooth connection for extra fun and learning. 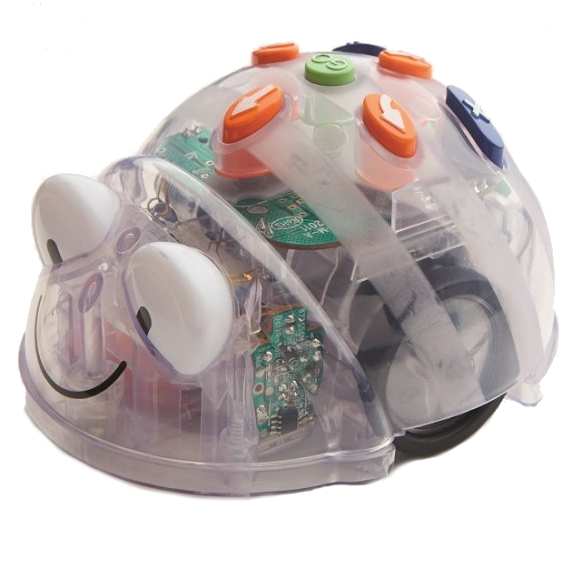 Blue-Bot can also be remotely controlled via a PC, tablet, or Tactile Reader for even more learning and fun! Terrapin is pleased to offer Bee-Bot, Blue-Bot, and Pro-Bot, robots that bring fun and excitement into the classroom while teaching directionality, planning, sequencing, counting, and working together. By motivating students, robots can be used to introduce and teach a wide range of subjects and enhance student skills in many areas. Terrapin accepts school purchase orders and offers volume discounts, making it easy for schools to order. Download Tips for Ordering from Terrapin for information on expediting your order. 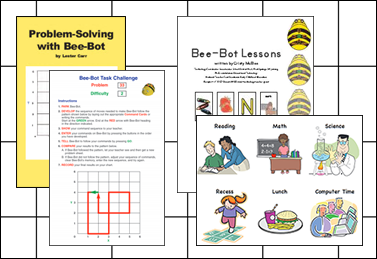 A full line of materials is available to enhance teaching and learning with Bee-Bot and Blue-Bot in the classroom. This broad range of products includes curriculum, accessories, and mats. 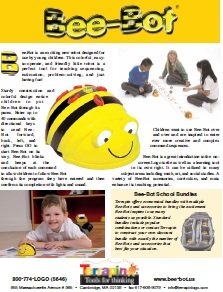 Bee-Bot and Blue-Bot create excitement in the classroom and can be used as a motivator to enhance teaching of many different subjects, supported by the wide range of materials available. New materials are regularly introduced. A School Mat and an Old West Mat are recent additions to the collection of attractive and convenient Bee-Bot mats. A Docking Station can hold and recharge up to six Bee-Bots and/or Blue-Bots overnight. Welcome to Terrapin's Bee-Bot web site, the American home of the Bee-Bot family of robots, including Bee-Bot, Blue-Bot, and Pro-Bot and a wide range of supporting materials including accessories, mats, and curriculum. 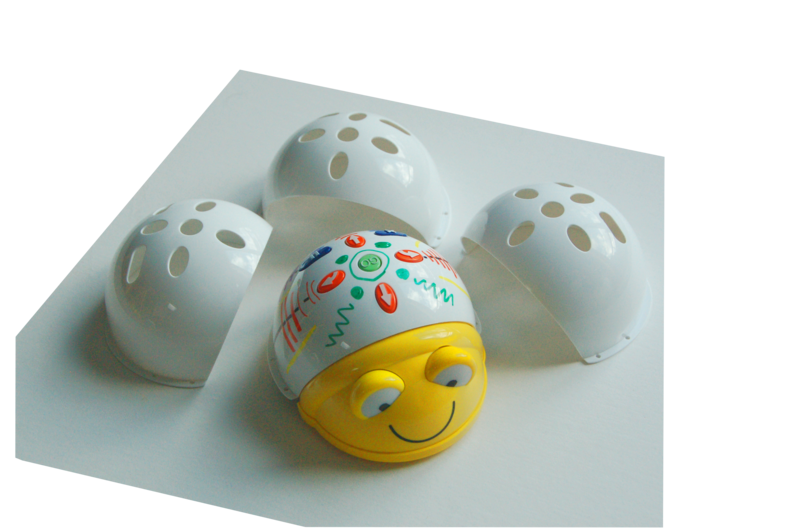 Bee-Bot is an exciting little robot designed for use by young children. This colorful, easy-to-operate, and friendly little robot is a perfect tool for teaching counting, sequencing, estimation, problem-solving, and just having fun! 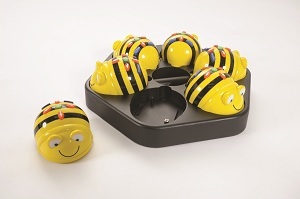 Sturdy construction and colorful design entice children to put Bee-Bot through its paces. Directional keys are used to enter up to 40 commands which send Bee-Bot forward, back, left, and right. Pressing the green GO button starts Bee-Bot on its way. Bee-Bot blinks and beeps at the conclusion of each command to allow children to follow Bee-Bot through the program they have entered and then confirms its completion with lights and sound. 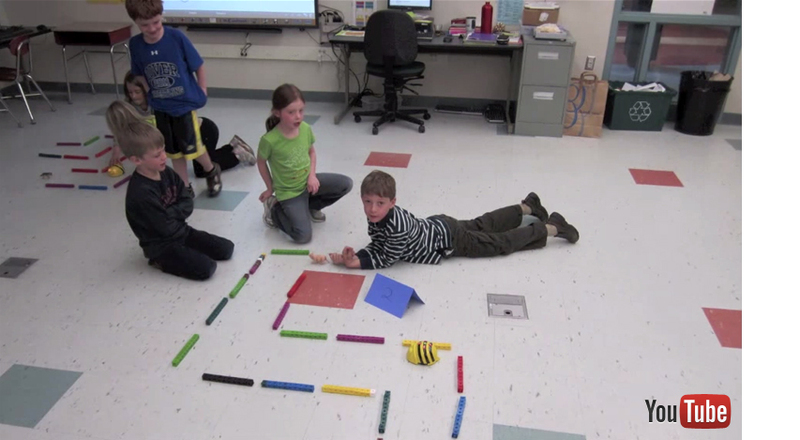 Children want to use Bee-Bot over and over and are inspired to enter ever more creative and complex command sequences. Bee-Bot moves in 6" steps and 90 degree turns. Compact size and durable materials make Bee-Bot child- and classroom-friendly and boosts enthusiasm for experimentation and learning wherever it is used. Blue-Bot is Bee-Bot with a twist: a built-in Bluetooth connection! Blue-Bot works just like Bee-Bot when its eyes are white and comands are entered via the buttons on the back. Connect Blue-Bot to a PC, tablet, or Tactile Reader with Bluetooth and its eyes turn blue. When its eyes are blue, Blue-Bot's buttons are disabled so it can be controlled remotely using free PC or tablet apps or by aligning the tiles on the Tactile Reader. Blue-Bot offers all the capabilities of Bee-Bot while also offering the opportunity to introduce the concept of remote control, creating on-screen programs to command other devices. Terrapin offers a full line of Bee-Bot and Blue-Bot materials to enhance teaching and learning with the robots in the classroom, including curriculum, accessories, and mats. Since Bee-Bot and Blue-Bot share the same form factor and scale, support materials are interchangeable between them. Both robots operate with rechargeable batteries and each comes with a charging cable. Pro-Bot is Bee-Bot and Blue-Bot's big brother and takes skills learned and honed with Bee-Bot to the next level. A turtle robot, cleverly disguised as a race car, Pro-Bot has Logo on board and offers students an enticing, engaging, and hands-on experience with Logo programming as well as robotic controls. Pro-Bot commands are entered via a set of arrow and number keys mounted on the back. Plan a route for Pro-Bot and press the corresponding keypad controls to specify distances and angles. Press the GO button and send Pro-Bot on its way. Incorporate touch, sound, and light sensors into your programs and develop subprocedures that can be used again and again. Terrapin supports schools by accepting purchase orders and offering discounted bundles and volume discounts for all the robots and related products to make it easy and economical for schools to bring these exciting new products into their classrooms. Bee-Bot, Blue-Bot, and Pro-Bot are brought to you in the United States by Terrapin, which publishes Terrapin Logo, the first coding app designed for children. Our products are based on the Logo philosophy of constructing learning through doing. Bee-Bot, Blue-Bot, and Pro-Bot are great implementations of these ideas. Visit www.terrapinlogo.com to learn about Logo and the Logo philosophy. 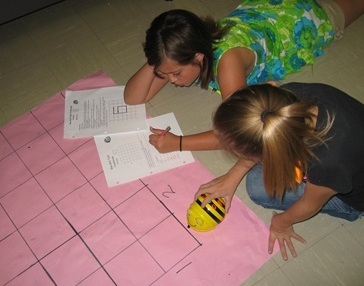 Bee-Bot Lessons and Problem-Solving wtih Bee-Bot are now available online! View, download, and print all the curriculum resources. Licensees of the printed version should contact Terrapin for access to the new online versions.